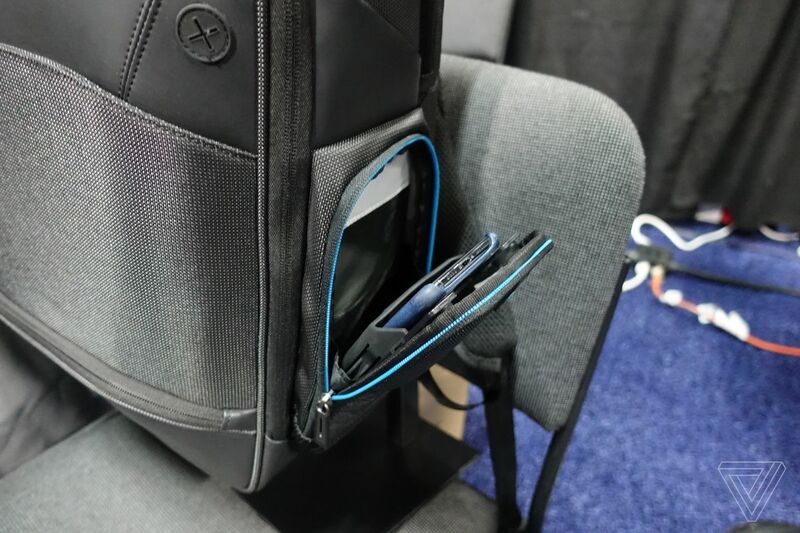 Here’s the new Targus Mobile VIP+ backpack, which has a built-in battery and a nifty Qi wireless charging cradle in one of the side pockets. The cradle holds your phone in place to keep it charging even as you move around, and it fits phones up to the iPhone XS Max in size — I tried my XS Max in Apple’s leather case and it fit just fine. 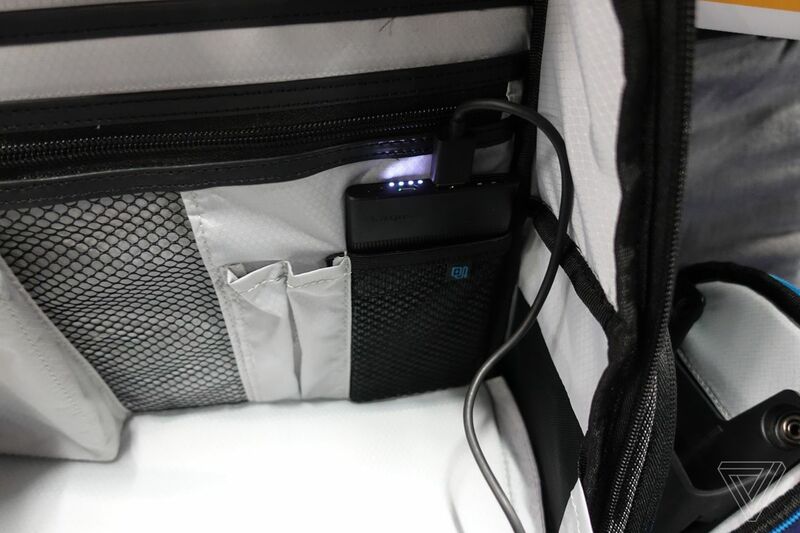 The cradle connects to the internal battery with a standard USB cable, so you can replace it with a bigger battery if you want, and there’s another pocket that blocks RFID signals if you’re the paranoid type. Is someone trying to hack your keycard to the mainframe while you desperately run away with a dead phone battery? This could be the bag for you. 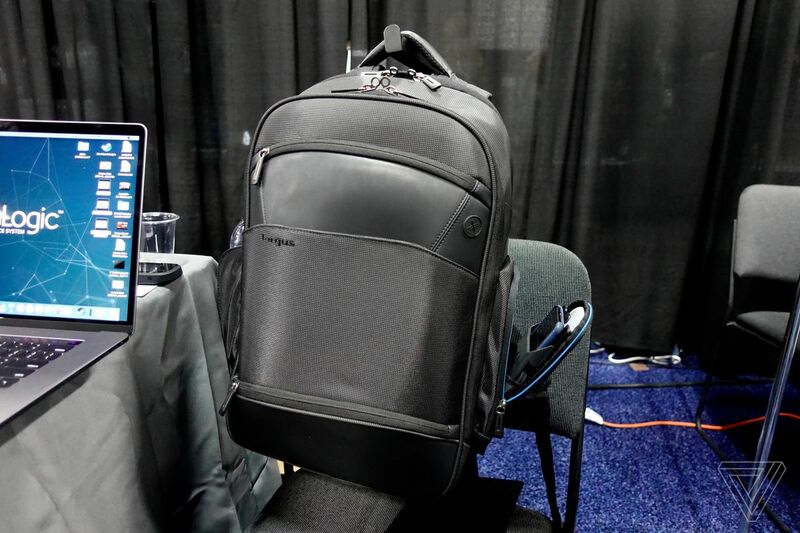 It’s also a nice Targus bag, with the usual Targus look and features geared towards people who travel with a lot of gear. It’ll be on sale in April for $199.